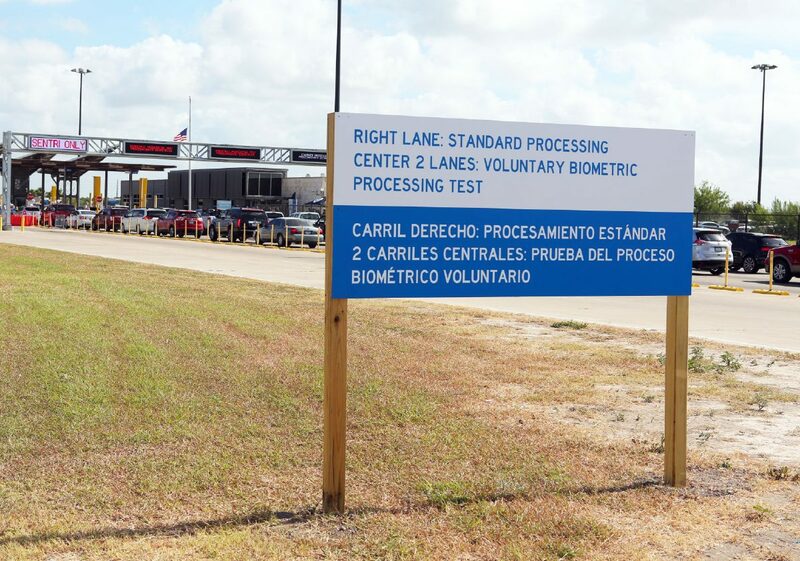 A sign greets vehicles entering the Anzalduas port of entry to inform them of the capture facial biometrics as they wait to enter the United States from Mexico on Thursday, Aug. 30, 2018, in Mission. 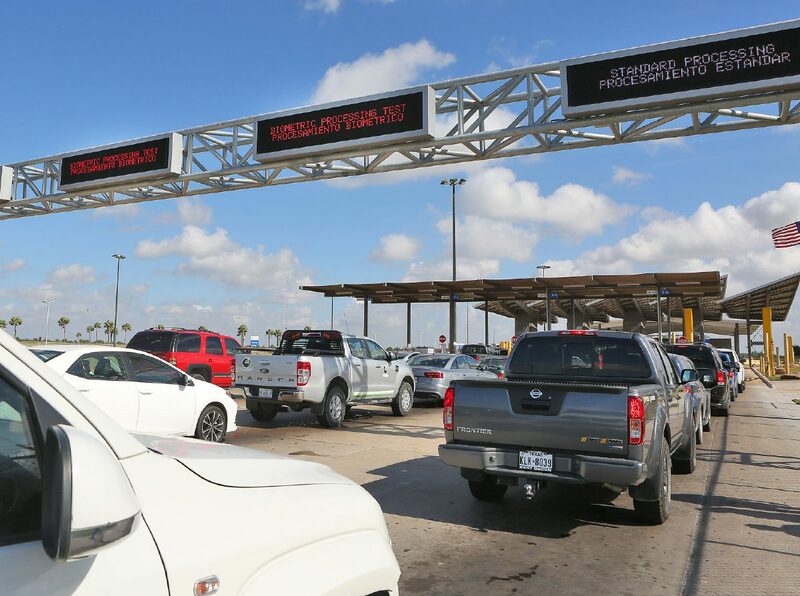 MISSION — Two of the three inbound and outbound lanes at the Anzalduas International Bridge are now capable of gathering data from the faces of travelers, U.S. Customs and Border Protection announced Thursday with the launch of a facial comparison technology pilot program. 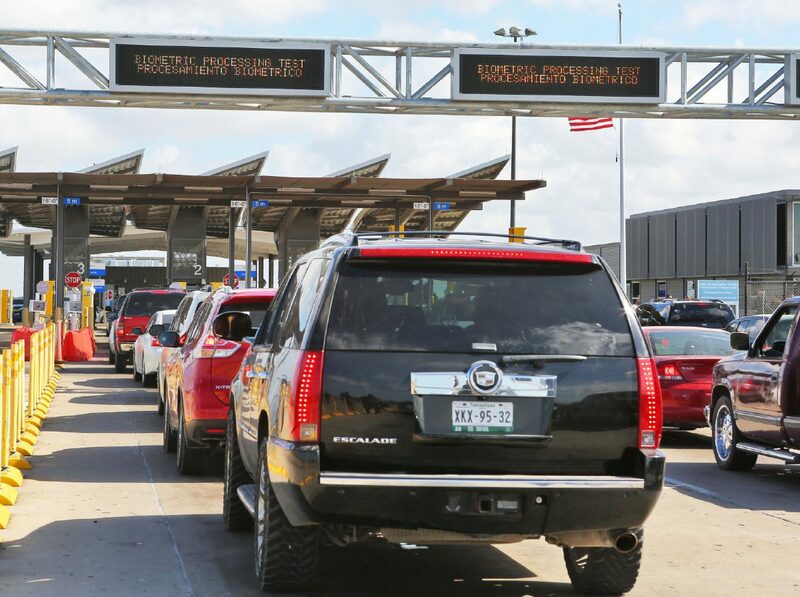 The one-year pilot program is the first of its kind at a land port of entry for vehicular traffic, according to CBP spokesman Phil Barrera. The agency began testing the facial recognition program at airports nationwide earlier this month, in addition to pedestrian traffic at the San Ysidro port of entry, which connects San Diego and Tijuana. After cameras scan drivers’ faces, the collected data is matched in near real-time against photos already on file in government holdings, such as passport or visa photos. A lighted sign directs vehicles entering the Anzalduas port of entry informing them of the capture of facial images as they wait to enter the United States from Mexico on Thursday, Aug. 30, 2018, in Mission. A lighted sign directs vehicles entering the Anzalduas port of entry to inform them of the capture facial images as they wait to enter the United States from Mexico on Thursday, Aug. 30, 2018, in Mission. 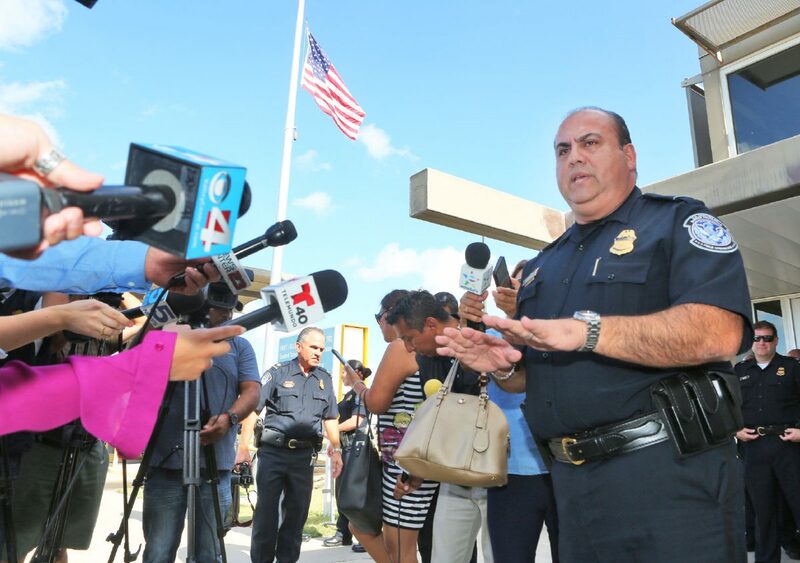 Carlos Rodriguez, CBP port director for the Hidalgo/Pharr/Anzalduas Port of Entry, speaks about a facial comparison system pilot program to capture images of vehicle occupants entering and leaving the United States from the Anzalduas Bridge on Thursday, Aug. 30, 2018, in Mission. The two lanes equipped with the facial comparison technology are labelled as “voluntary” and drivers wishing to opt-out can use the remaining lane. Any images the cameras gather will only be used to test the system’s accuracy and efficiency and will be deleted from CBP’s system after 14 days, the agency said. 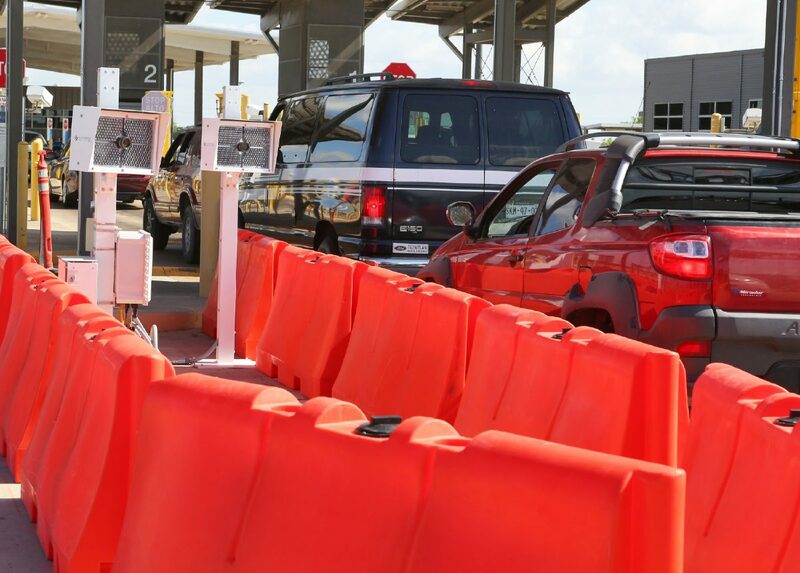 The pilot program at the Anzalduas bridge “will help inform the agency on next steps to developing and implementing biometric entry/exit in the land border vehicular environment,” said David P. Higgerson, director of Field Operations at CBP’s Laredo Field Office, in a news release. CBP plans to eventually implement facial recognition technology at all ports of entry following recommendations made by the 9/11 Commission to biometrically record the entry and exit of non-U.S. citizens into the country. CBP could not provide a cost estimate of the pilot program at the bridge on account of it being in the testing phase.